Beyoncé is the fifth most followed user on Instagram and has the top spot for two most liked posts it. She has been known to be candid on her social media account using it extensively to connect with her fans. Ariana Grande is the second most followed Instagram user. She uses the social media platforms to communicate with her fans. She is known for using social media for important and relevant discussions. Justin Bieber started his career from social media. He was discovered from YouTube by the covers posted by his mother. He catapulted to stardom and fame from there onwards. He has been actively using social media to promote his music and shows. He has about 102 million followers on Twitter and 92 million on Instagram. Selena Gomez is the most followed user on Instagram with 128 million followers. She has used her social media accounts to connect with her fans and discuss on candid as well as important topics. Her posts are among the highest liked on social media which indicates her influence on the social media. Kim Kardashian is another Hollywood celebrity who built her career from social media. The popular reality star shared her life with her fans on the social media. She has broken the internet many times and also released a book of selfies titled “Selfish”. She is considered as one of the social media barons. Katy Perry was the first Twitter user to get 100 million followers. She joined Twitter in 2009 and has been actively using it ever since to connect with her loving fans. She uses social media to create awareness about larger topics and express her opinions on them. Taylor Swift is known as the queen of marketing in Hollywood. She is also a savvy businesswoman who uses social media to create awareness about her upcoming projects. She is the 6th most followed user on Instagram with 104 million followers and 85 million followers on Twitter. 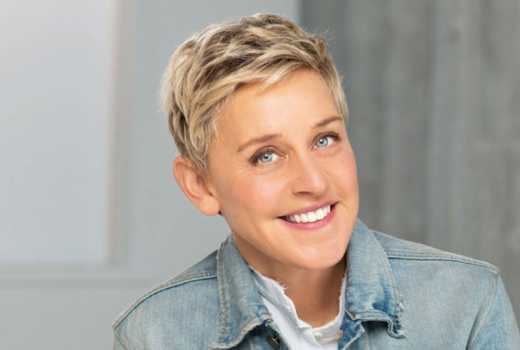 Ellen DeGeneres the popular Hollywood humorist is the 6th most followed user on Twitter. She has a loyal fan base and uses social media to connect with them. She is known for using social media for bringing positivity to her followers and discussing on important and relevant topics. Rihanna is a global fashion icon. She has more than 57 million followers on Instagram and is an inspiration to her followers. She has been popular for causing fashion revolutions with her active use of social media. She is also an expert at handling the social media trolls. Dwayne Johnson popularly known as The Rock is number 9 on the most followed Instagram users. He is immensely popular among his fans and his workout videos, inspirational messages etc. are an instant hit among his loyal fans. He inspires his fans for being fit and working out.